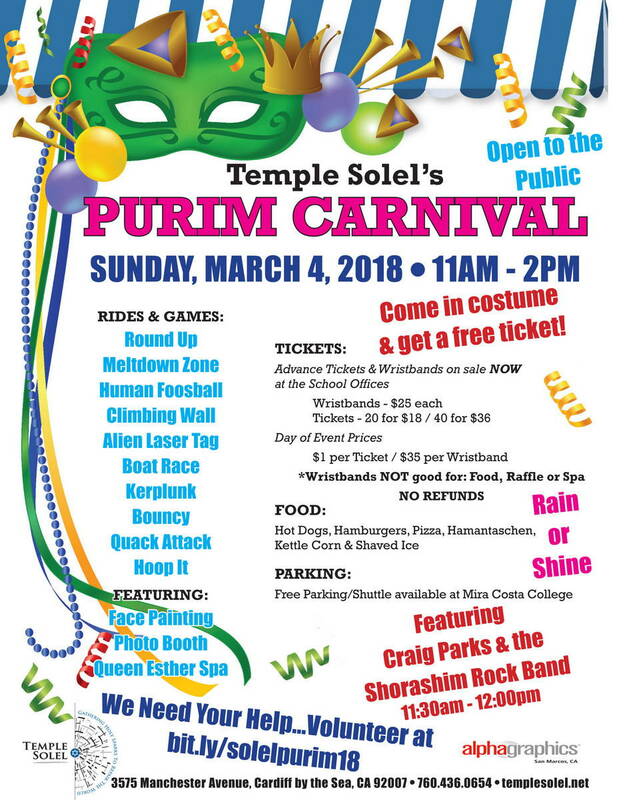 Temple Solel will be holding their annual Purim Carnival on Sunday, March 4th at the Temple grounds in Cardiff. 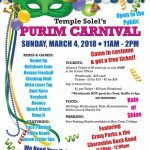 The carnival is open to the public and features rides and games, delicious food including hamantaschen, face painting, music, photo booth, spa, and more! Free parking is available at Mira Costa College with free shuttles to the Temple. Advance Tickets & Wristbands on sale now at the School Offices. Advance sale ride wristbands are $25 each and advance sale ride tickets are 20 for $18 / 40 for $36. On the day of the event, prices are $1 per ticket and $35 per Wristband.